The Chinese electric car manufacturer, Nio, has installed the first battery replacement station for its vehicles on the G2 motorway between Beijing and Shanghai. 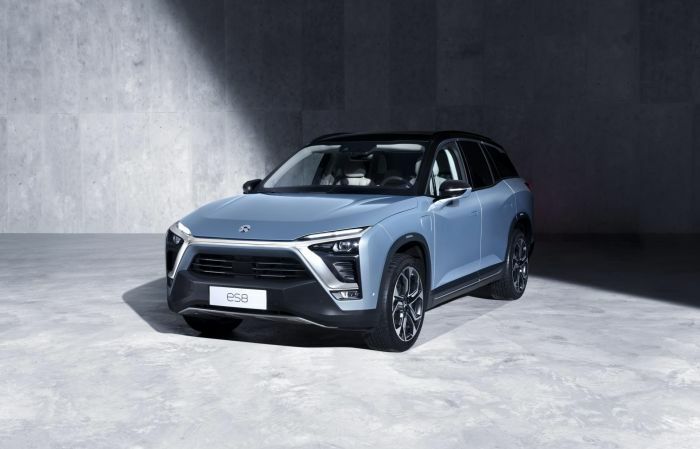 According to Nio, which has been offering its ES8 model on the Chinese market since mid-2018, a total of eight replacement stations will be installed along the 1,000 km separating the two cities, where the entire empty battery kit is replaced by fully recharged batteries, a process that will only take about three minutes. The facilities, as can be seen in the video, are fully automated and occupy more or less the space of three parking spaces. The company plans to install another 18 stations between Beijing and Shenzhen, which, according to them, will greatly facilitate the use of electric vehicles over very long distances. It is not clear if this service is going to be extended to other electric models, currently it is only compatible with this specific car, the Nio ES8. In exchange it is clear that for the future there will be several systems of recharging, slow, semi-rapid and fast, or, directly, the change of the entire battery module. It is not a new idea either, there were already battery replacement stations in the early years of the twentieth century, what is completely new is the automation and the speed of change. The data: As early as 1884, the idea was to introduce electromobility and battery replacement stations as a solution, as recharging was then only possible in special workshops. And in 1895 Charles Jeantaud took part in the Paris-Bordeaux race with an electric car from his company, defying the rules set for the massive participation of gasoline cars. Jeantaud, the then largest manufacturer of electric cars in Europe, organized depots of recharged batteries every 40-45 kilometers of the route, where its mechanics could change in a few minutes the empty batteries. Let&apos;s take up the good ideas of the past and perfect them for the future - today we have in our hands the best possible technology. By continuing to use this website you are giving consent to our cookies policy.